Judicial Murder: Is the USA on the Point of Collapse? A Case of Judicial Murder? I have been asked many times why I have intervened in the federal prosecution of Dzhokhar Tsarnaev, the young man who was convicted and sentenced to death in the Boston Marathon bombing case where two brothers, on April 15, 2013, allegedly detonated pressure cooker bombs on Boylston Street in front of the Forum Restaurant that killed or maimed many people. As I wrap up my career of fifty years as a member of the bar, including service as a public defender in state and federal courts, co-founder of an accredited law school, and chief public prosecutor in Minnesota state courts, I am apprehensive that my country might be entering into an era of judicial murder. Judicial murder is the practice of designing a trial to get a guilty verdict, regardless of the facts, and a death sentence carried out. It has happened in many countries in all ages. It has been recognized as a threat of public justice by the United States Supreme Court in Powell v. Alabama, 287 U. S. 45 at 72-72 (1932). Judicial murder is followed by corruption and destruction of society.The judicial murder of Socrates was followed by loss of the classical civilization of ancient Greece. The judicial murder of Jesus of Nazareth, whether son of God or venerable philosopher, was followed by the destruction of Jerusalem and the second temple. The judicial murder of Joan of Arc was followed by loss of most English lands in France. The judicial murder of Charles the First was followed by loss of the free constitution of England. The judicial murder of Louis XVI was followed by 150 years of defeat, ruin, suffering, and chaos in France. Judicial murder in the Third Reich was followed by humiliating defeat of Germany. Judicial murder in the Soviet Union was followed by collapse of the Soviet empire. If the justice system cannot be trusted, evil consequences follow. My active intervention in the case began when I assisted the Russian aunt, herself a lawyer, of Dzhokhar file pro se papers in the federal district court in Boston, asking that she be recognized as a friend of the court so she could present evidence conclusively showing, by FBI-gathered evidence, incorporated by reference into the indictment, that Dzhokhar could not have detonated the bomb he was supposed to have detonated. I proceeded in this way as instructed by the bar liaison officer of the federal district court and the clerk’s office. Dr. Paul Craig Roberts wrote up this legal adventure in his column of August 17, 2015, in a way which draws from the judicial record, and portrays the scenario clearly enough. The link is https://www.paulcraigroberts.org/2015/08/17/fbi-evidence-proves-innocence-accused-boston-marathon-bomber-dzhokhar-tsarnaev. Those unfamiliar with this case need to read that article. The claim of the Russian aunt sounds fantastic only so long as one believes newspapers and does not pay attention to critical, undeniable facts gathered by the FBI, and the language of the indictment as returned on June 27, 2013, especially paragraphs 6, 7, and 24. A number of things have caused me to doubt Dzhokhar’s guilt. The FBI crime lab determined from fragments at the scene of the explosions by no later than April 16, 2013, that the culprits were carrying heavy-laden black backpacks on Boyleston Street just before the explosions. This was not an evaporating investigation theory, but was incorporated into the indictment, was part of the government’s case-in-chief, and was never disavowed by anyone involved in the trial. On April 18, 2013, the FBI determined that the culprits were portrayed in a street video maintained by the Whiskey Steak House on Boyleston Street. Two still frames were used to identify the brothers Tamerlan, who was shot dead by police, and Dzhokhar, who survived, and was charged, convicted, and sentenced to death. A third still-frame from the same street video shows Dzhokhar, carrying not a heavy-laden black backpack, but a light-weight white backpack over his right shoulder. The very evidence used by the FBI, and described in the indictment to identify Dzhokhar eliminates him as certainly as white is distinguished from black. The FBI evidence of an exploded backpack is black and the FBI’s identification of Dzhokhar at the scene of the crime shows him with a white backpack. This exculpatory evidence was kept out of the trial. But more troubling evidence exists. Dr. Lorraine Day was the chief of orthopedic surgery at San Francisco General Hospital for some twenty-five years. She treated many grave injuries, and is an impeccable medical expert. She prepared a decisive report, dated May 4, 2015, on the Boston bombing case, which she concluded was a hoax. https://www.reddit.com/r/conspiracy/comments/34vs8r/lorraine_day_md_former_chief_of_orthopedic/ She observed, for example, that photos of the scene after the explosions revealed no blood when it should have been visible everywhere, and that, when blood did appear, it was of a bright orange red Hollywood color, not maroon as real blood appears in real life. The Boston marathon case appears to be at least contaminated by crisis actors if not entirely a false flag event. The video of the man showing no trauma whose leg is purported to be blown away being wheeled down the street sitting upright in a wheelchair is a dead giveaway as to the presence of crisis actors. Any such casualty mishandled in such a way would have quickly bled to death. The trial of Dzhokhar raises more serious questions. Mr. Tsarnaev was defended by court-appointed lawyers who did not do their job. His chief counsel had powerful exculpatory evidence available, yet she forcefully asserted that he was guilty in her opening statement, never used the exculpatory evidence at trial, and did not even ask for a verdict of not guilty in her final argument to the jury. Dzhokhar had no defense. As a lawyer with a half century of experience, it was painful for me to watch what looked like a show trial in which the verdict and sentence were assured in advance. On verge of retirement, I have no interest in acquiring notoriety to build a practice. I have nothing to gain from coming to the defense of a person abandoned by law, the media, and everyone but his aunt. But my country has everything to lose from judicial murder in behalf of some government agenda. We must examine if that is the case and, if so, prevent it. 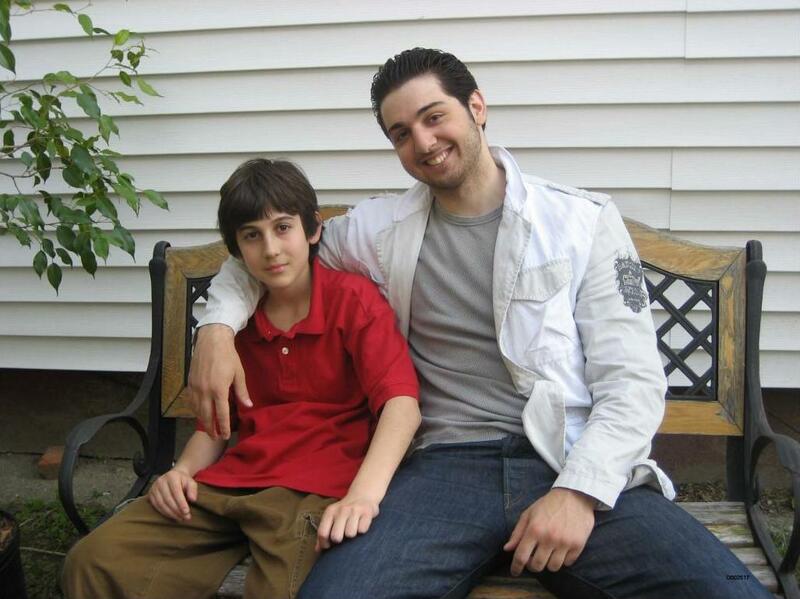 As a last hurrah as a lawyer, I recently filed a motion in behalf of three American citizens before the First Circuit in the appeal of Dzhokhar Tsarnaev, asking that they be recognized as friends of the court, so they can show that, on the basis of facts actually of record before the federal district court in Boston, Dzhokhar did not detonate a pressure-cooker bomb on Boylston Street on April 15, 2013, as charged in the indictment. The government and major media of the United States have created such confusion and libelled the accused so foully that it is impossible for the average citizen relying on newspapers to imagine that Dzhokhar is innocent. Major media waged a lock-step propaganda campaign against Mr. Tsarnaev. However, perhaps a turning point occurred on Monday of this week. Newsweek on October 23, 2017, reported, two years and two months after Dr. Roberts’ report on my filing in behalf of Dzhokhar’s aunt, Maret Tsarnaeva, that evidence might exist of Dzhokhar’s innocence. http://www.newsweek.com/boston-marathon-bombers-aunt-says-fbi-set-her-nephew-and-she-has-proof-691058 If other of the American media would join Newsweek in informing the public that there is doubt about the conviction, perhaps not only a possible case of wrongful conviction can be corrected, but also a case of possible judicial murder could be prevented. – John Remington Graham of the Minnesota Bar (#3664X), jrgraham@novicomfusion.com, 418-888-5049. What occult, demonic or covert complex of forces, has come together to create, from all angles, an "United States of America", no longer worthy of the respect of the world and is the United Kingdom locked into the same downward spiral? If they can kill a President, they can kill anybody. Paul Craig Roberts on JFK: "Douglass concludes that Kennedy was murdered because he turned to peace. He was going to work with Khrushchev to end the Cold War. He refused the CIA US air cover for the Bay of Pigs invasion. He rejected the Joint Chiefs’ Operation Northwoods, a plan to conduct false flag attacks on Americans that would be blamed on Castro to justify regime change. He refused to reappoint General Lyman Lemnitzer as Chairman of the Joint Chiefs. He told US Marine commandant General David Shoup that he was taking the US out of Vietnam. He said after his reelection he was going to “break the CIA into 1,000 pieces.” All of this threatened the power and profit of the military/security complex and convinced military/security elements that he was soft on communism and a threat to US national security." Now it seems the American/Indusrial/Media Complex is intent on unnecessarily demonising Russia as a prerequisite to WAR! Oh and the BBC as ever, up there promoting it too.